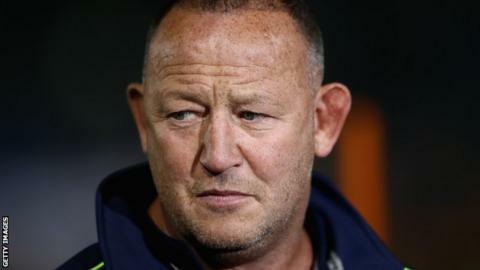 Sale Sharks director of rugby Steve Diamond has been charged by the Rugby Football Union for allegedly abusing match officials earlier this month. It is believed the 49-year-old made comments towards referee Matthew O'Grady after their 13-10 Anglo-Welsh Cup win at Harlequins on 3 February. Diamond will appear before a RFU disciplinary panel on Wednesday. In 2012, he was given an 18-week ban and a £4,000 fine for a similar offence against referee Wayne Barnes. The latest charge alleges Diamond's conduct was "prejudicial to the interests of the union and/or the game". Diamond, who has also held roles with England Saxons, Northampton, Saracens and Russia, was also critical of the refereeing in their Champions Cup loss at Toulon in January, calling Kieran Longbottom's sin bin decision "outrageous."